Minorities in STEM – What can allies do? I’ve been wrestling with a blog topic, but I haven’t known how to begin. Sometimes I hear a message over and over from different sources, like echoes that seem to reverberate endlessly. This week has been like that for me. If for no other reason than to quiet the thrum of these echoes in my mind, I’m sharing my thoughts and feelings about women and people of color in STEM careers. I don’t work in the STEM field, and I’m not a person of color. I am not an authority on discrimination, and I haven’t written a thesis on the obstacles faced by women in technology. I’m an ally however, and I care passionately about diversity and inclusion in these historically white male-dominated fields. The first echo came in this article by Tracey Massey, president of Mars Chocolate North America. Writing on “How a Background in STEM Can Drive Women to the Top,” Ms. Massey asserts that “women with engineering backgrounds represent some of the highest spots on Fortune’s Most Powerful Women list.” Including women with backgrounds in STEM is good for business. She points out that the first airbags, designed by an all-male team, did not adequately protect women and children in crashes, but when women joined the team they began to take all body sizes into consideration. Another echo came when I read the text of an incredible speech given by Francis Su, president of the Mathematical Association of America and that organization’s first president of color. He related stories of women and minorities who were ignored, actively discouraged, and discriminated against. He talks about how mathematics helps people flourish, and describing the discrimination, he said, “if a certain kind of anger wells up in you, you are experiencing a telltale sign of flourishing: the desire for justice. Justice means: setting things right. And justice is a powerful motivator to action." Finally, the issue became personally significant when my daughter started to learn to code. Of course, she thinks she's just playing on the Scratch platform developed by the MIT Media Lab, but she's really learning the principles she would need to become a developer. I've been a little hesitant to tell her that she is coding, afraid that she will have already internalized the "girls can't do that!" mantra so prevalent in the media. I just let her do her thing. So now that you have a sense of the message the universe has been beaming at me this past week, what can I do? What can all of us allies do--as parents, teachers, and community members? I've got a few suggestions but I'm craving more, so please share your ideas! 1. Replace "What a pretty dress!" with "You look ready to take on the world today!" It's unbelievable how often young girls are complimented for their appearance, starting from the time they are babies. Such gorgeous hair, what cute shoes, how pretty... ugh! When you have the opportunity to greet a young girl, choose something OTHER than her looks to compliment, something that implies intelligence or strength. Ask her what she likes to build, create, or read! This reinforces the idea that girls CAN build and create. By simply asking, you leave that youngster more open to possibilities. 2. If you are in a situation to select someone from an audience, pick a girl first. I have lost count of how often I've noticed that a speaker with an audience calls on a man or boy first. From magicians to teachers to politicians, once you start to notice this trend, it will drive you nuts just as it does me. Many do call on a female second, perhaps aware of the need to be "fair," but she was not their first instinct--the little boy in the front row was the subconscious choice. Change this ratio one audience at a time, and give a girl that confidence that comes with being the first to speak. 3. Use social media mindfully and inclusively. If you use Twitter, look at your last 25 retweets. What percentage were originally composed by people of color? How many were composed by women? Is that percentage where you think it should be if we lived in an inclusive world? As allies, we aren't obliged to stand up and yell, "pay attention to me, I want to applaud people of color!" Instead, we should applaud women, LGBTQ folks, and people of color for their accomplishments as publicly as possible. When you are looking to share a post related to your industry, seek out one written by a person who is underrepresented in your field, and share her work. Amplify their voices in your sphere of influence, and they will genuinely welcome yours in the conversation. If you would like to share YOUR ideas for ways in which allies can be supportive champions, please do! I really enjoy hearing the creative solutions that my readers come up with, and I incorporate them into my work every day. If you are a woman or a person of color in a STEM field or any other field that lacks representation, let me know! I'll retweet, share, and generally applaud your work as often as I can. You are invited to sign up for my weekly "Career Authentically" newsletter as well. Now let's go get some girls excited about coding, amplify some folks of color in STEM, and make some justice happen! 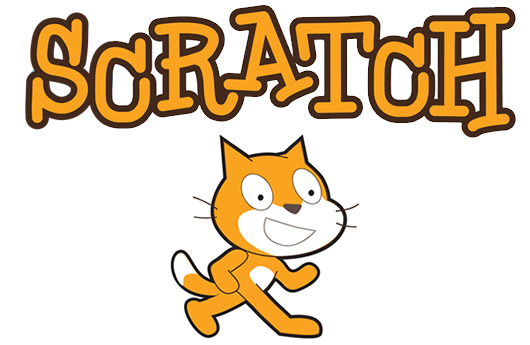 If you have a child who is into computers, gaming, or apps, check out Scratch! Older PostWant to find a job? Find your tribe.